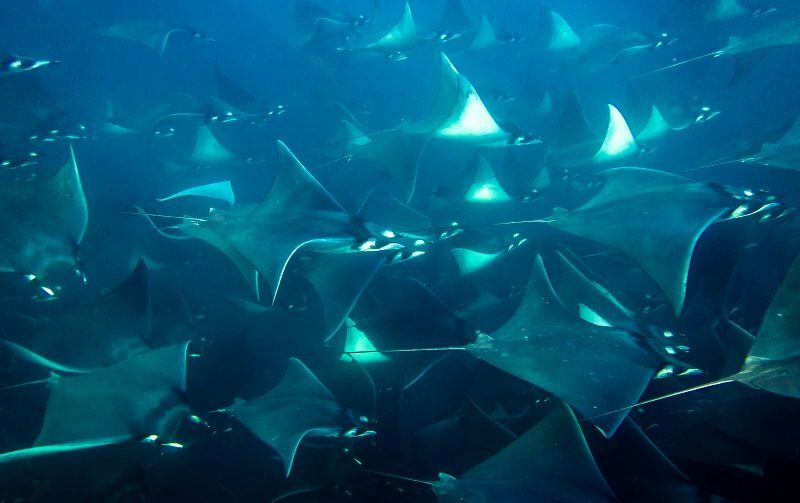 The National park of Cabo Pulmo is located 80 miles away from Cabo San Lucas. The park is a must-see and on a bucket list of many divers. The area is often referred as the most successful marine reserve in the world, the national park is filled of big specimens like bull sharks, giant groupers, mobula rays and the world famous jackfish school. The shallow water inside of the bay is an ideal place for photographers and demanding divers.